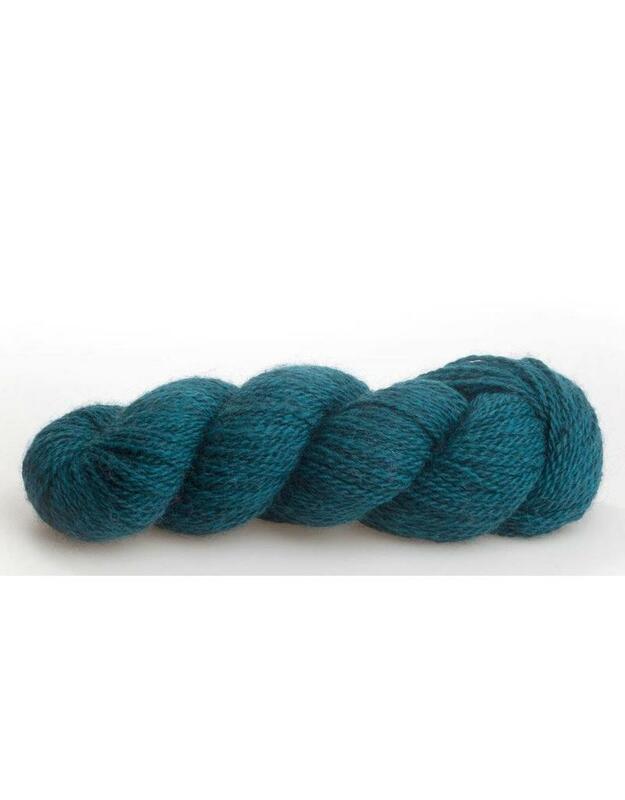 Baa Ram Ewe Dovestone DK is a beautiful wool is for knitters who love to work with beautiful natural wool yarns. 100% British wool, spun and dyed in Yorkshire, England. The yarn is a blend of three specialty wool breeds in natural colours so the dyed yarn has a heathered effect. This 2 ply yarn is spun into a standard DK weight so you have many pattern options. Knitting gauge: 22 sts = 4 in. or 10 cm.